YANGON, Sept. 18 (Xinhua) -- Vice Chairman of the Standing Committee of China's National People's Congress (NPC) Ding Zhongli visited Myanmar from Sunday to Tuesday at the invitation of Myanmar's House of Representatives. During his visit, Ding met with Myanmar's First Vice President U Myint Swe, Speaker of the Union Parliament and Speaker of the House of Representatives U T Khun Myat, Speaker of the House of Nationalities U Mann Win Khaing Than, and held talks with Deputy Speaker of the House of Representatives U Tun Tun Hein. Ding said China and Myanmar are friendly neighbors linked by mountains and rivers and the Paukphaw (fraternal) friendship between the two peoples is long standing. He said China's National People's Congress is willing to work with Myanmar's Union Parliament to actively implement the consensus reached by leaders of the two countries and take Belt and Road cooperation as an opportunity to enhance friendly cooperation. Ding called on the two sides to provide legal and policy assurance for the long-term, healthy and steady development of China-Myanmar relations and push the China-Myanmar comprehensive strategic cooperative partnership to a new stage. 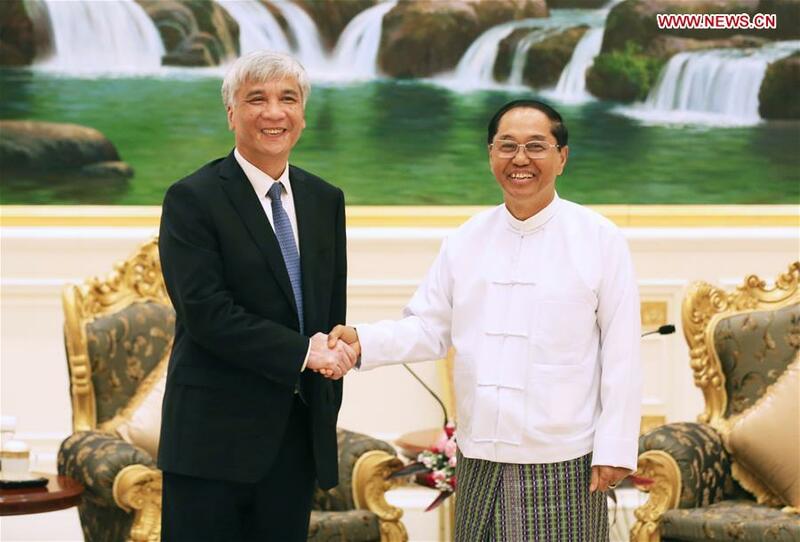 Attaching importance to the Myanmar-China relations, the Myanmar side hoped to deepen the participation in the Belt and Road Initiative and continuously enrich the two countries' achievements of practical cooperation. The Myanmar side said that Myanmar's Union Parliament would like to strengthen mutual exchanges with China's National People's Congress and contribute to the sustained development of the bilateral ties.